Get an inside look at the land of Ooo as told from the perspective of Fionna and Cake, the fan-favorite, gender-swapped versions Finn and Jake. Do you dream of going on an adventure but find yourself standing in your living room in a suit of armor with no idea what to do next? Unsure of which fighting moves to use against the hordes of bad guys attacking your town? Did you purchase the Smock of Invisibility but suspect that it’s actually a regular smock and everyone is just ignoring you? If so, thank globness you’ve picked up this handy adventure manual, written by professional adventurers Fionna the Human and Cake the Cat. Fionna and Cake are experts at the art of the quest. In this one-of-a-kind handbook, they cover everything from sword collections and dangerous flora and fauna to exotic locations like the Cemetery for the Fallen Awesome and the Grasslands bazaar. The pages are packed with rare and curious artifacts that Fionna and Cake have collected on their travels, such as a “Congratulations! You’ve Chosen Your Partner for Battle” greeting card and an embarrassing baby photo of Marshall Lee. 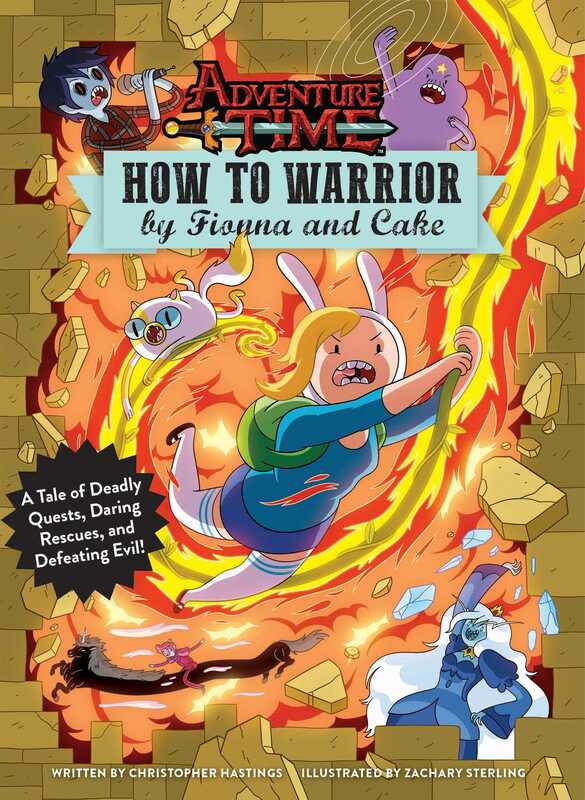 Whether you’re an experienced traveler looking to brush up on the latest adventuring techniques or a newcomer starting out with only a rucksack and a wooden sword, How to Warrior by Fionna and Cake has something for you!